It's not often that the carpark of a walk is the highlight, and the fact that this is true of this particular walk, says nothing about the walk itself (its lovely), but its parking inlet offers perhaps the best aspect of the rolling Port Hills and Lyttelton Harbour accessible without any exertion (and maybe, of anywhere). 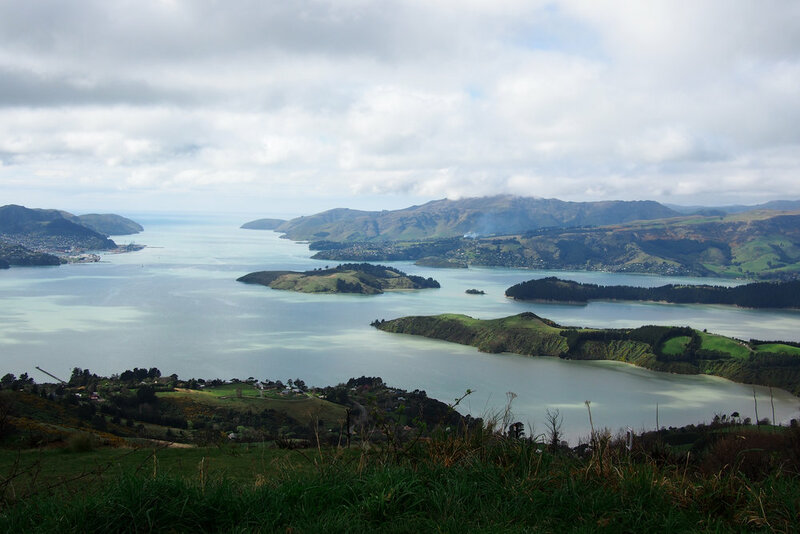 If this sweeping view, over Quail Island, framed by rolling hills out to sea, doesn't make you embarrassingly proud to be a Cantabrian then you must be really annoyed about, like the parking in town or something. Drive up Dyers Pass Road to Sign of The Kiwi and turn right onto the Summit Road. Follow it round and park at the little carpark across from Sign of The Bellbird. Walk across the road (carefully - the roads are winding and some cars go like rockets) to the Sign of the Bellbird and hop across a little fence onto the track. 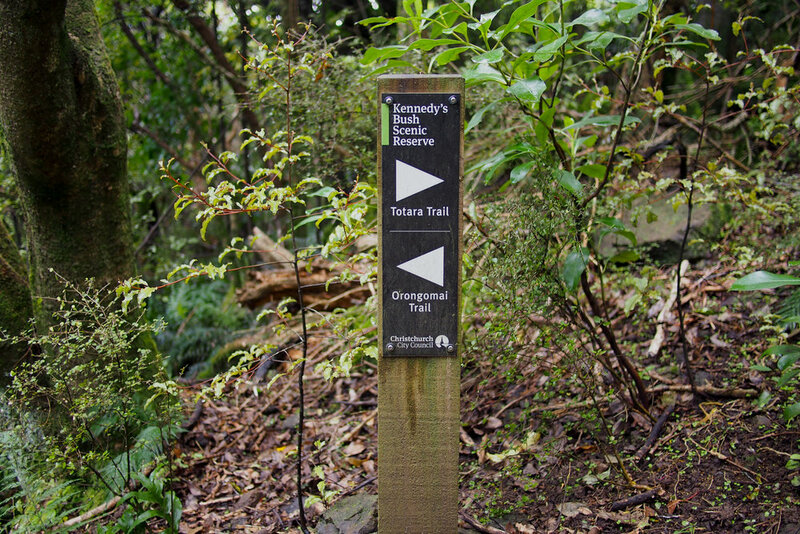 You'll reach a sign setting out the different tracks, follow those for the Totara Trail - all going well you should pop out on the other side of the Sign of The Bellbird to where you started. If the track is dry the loop is only 15 - 20 mins (its 1.6km) - though if its muddy, allow more time for foot placement navigation. This is a short one, its supposedly only 15 mins according to the gospel of the signpost. It broadly goes down, then up again - but nothing too steep. This track has fairly basic requirements so...shoes? Bare minimum. The carpark (refer above) - that view - especially if its about to rain (which I hope is occurring at the end of your walk not the start). 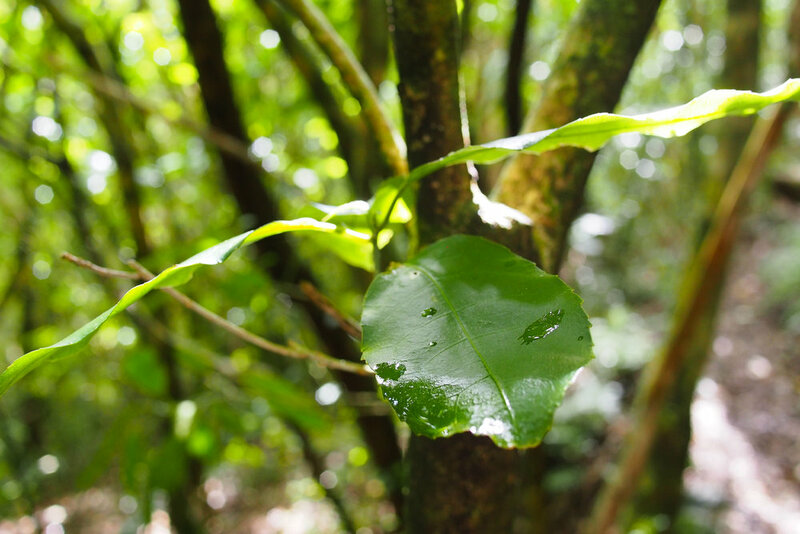 Walking through the dense bush feels very other worldly and like you are very far away from anywhere else and very close to nature. Great birdsong, if thats your thing. The beauty of a loop is you can reverse it for a different outlook, so just start at the point we said to finish at under Route. There are also a number of interconnecting tracks so at a certain point, instead of following the Totara Trail sign and heading for home, veer off onto the Orongomai Trail Loop which is about 3km long, and the sign suggests an hour long. The track, while clear, is not the best formed, and its very muddy if its been raining. Its slightly rocky in parts so although its an easier one, you'll want to watch your footing, especially in damp conditions. It is mostly under a dense canopy of bush, which is very atmospheric, but punctuated with glances through the trees down over Kennedy's Bush and over Christchurch. We literally didn't run into anyone else up there, which adds to its feeling of isolation and communing with nature. For the best as it might be a bit snug at some points to meet someone coming the other way. Its possible though, plenty of trees to lean against. A bit slippery. There are also signs about poisonous bait stations so don't take your dog on this one.